Nikon Df – despite receiving a lot of negative feedback from the photography world after it was released, the Nikon Df remains an amazing tool for both everyday and professional needs. Sporting a similar 16.2 MP sensor as the top-of-the-line Nikon D4, the Df can deliver clean images at very high ISOs and can push its sensitivity all the way to ISO 204,800! Although it is not a resolution monster like the D800/D800E/D810 cameras, its ability to retain colors, shadow details and dynamic range beyond ISO 3200 is remarkable. Despite its limitations such as 1/4000 max shutter speed, lower-end 39-point autofocus system and a single memory card slot, the Nikon Df is a very capable camera that is both compact and lightweight, making it an ideal candidate for Lola for shooting those long, all-day weddings. After shooting a single event with the Nikon Df, Lola no longer wanted to shoot with her heavy Nikon D3s, which we ended up selling afterwards. Our biggest gripe with the Df is the single memory card slot, but we have been only using 8 GB memory cards to reduce chances of losing too many images in case of memory card failure. We found SanDisk 16 GB SDXC Extreme Pro cards to be very reliable when compared to other types of cards, so those are the cards we stocked up on for the Nikon Df. If you are interested in finding out more about the Nikon Df, check out our detailed review with lots of information and image samples. Nikon D810 – with a whopping 36.3 megapixel sensor, this is the camera we primarily use for landscape and studio photography. Its stunning dynamic range can recover a lot of information when photographing in various lighting situations and the D810 has no anti-aliasing filter in front of the sensor, giving maximum amount of details in images. You can read about the D810 in our extensive Nikon D810 review. Nikon D800E – after the D810 came out, we converted it to an infrared camera for photographing landscapes (see some examples of IR photography from Death Valley). The Nikon D800E is still an amazing camera and we intend to keep using it for many years to come. You can read a detailed review of the Nikon D800 to get more information about this amazing DSLR. Nikon D750 – after Nikon beefed up the Nikon D610 with a high-end AF system and released the D750, we had no reason to keep the D610 anymore, so we upgraded it. As of today, we consider the D750 to be Nikon’s best all-around camera, thanks to its solid build, great ergonomics and superb overall performance. The 24 MP sensor on these cameras is outstanding, producing excellent dynamic range, very little noise and beautiful colors for a range of different photography needs. For more details about the D750, see our detailed Nikon D750 Review. 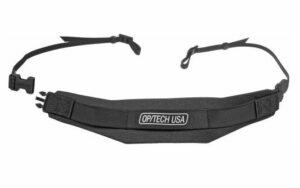 Op/Tech USA Pro Strap – I have tried many different straps and the Op/Tech Pro Strap is by far the most comfortable strap out there. Because it stretches, the strap won’t put too much pressure on your neck when you move around and use heavy gear. I have been buying these for every camera I own. If you are still using a stock strap, you should check these out. 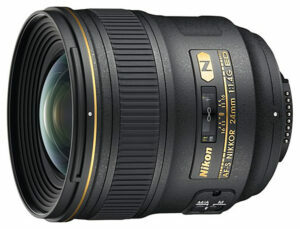 Nikon 24mm f/1.4G – the Nikon 24mm f/1.4G is the sharpest wide-angle lens produced by Nikon. Whether you are into wedding, portrait, landscape, architecture, street or other photography, the Nikon 24mm f/1.4G will not disappoint with its clarity, colors, sharpness and background blur (bokeh). It is specifically designed for full-frame cameras like Nikon D700 and D3/D3s/D3x, but will also work on any DX camera like Nikon D5100. 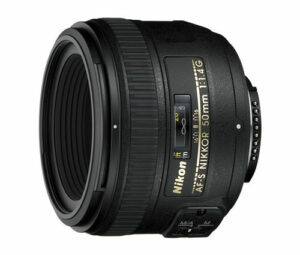 If you have not seen my Nikon 24mm f/1.4G Review, check it out for additional information on this gem. Nikon 50mm f/1.4G – a compact, lightweight, inexpensive and a very handy portrait lens that Lola and I use more than any other for weddings and portraiture. It works perfectly well on both DX and FX cameras and it yields beautiful bokeh at large apertures. If I were to take only one lens to a wedding, this would be it. See my Nikon 50mm f/1.4G Review for more information on this lens. Nikon 50mm f/1.8G – being cheaper and lighter than the f/1.4 version, you might think that this lens is inferior optically. That’s certainly not the case! After Nikon released the updated version of the 50mm f/1.8 lens, the older 50mm f/1.4 is now sitting in our shelf, mostly collecting dust. As I previously revealed in this article, the 50mm f/1.8G is an amazing lens, especially for its very low price. Wide open at f/1.8, it is sharper than the f/1.4 version stopped down! We have covered this lens extensively at Photography Life – see my detailed review, then check out some sample images from Lola’s weddings. Nikon 85mm f/1.4G – if you love to be able to isolate your subjects and have the smoothest bokeh, this is the portrait lens you want to own. It is regularly dubbed as the “bokeh king” by many photographers. It is unbelievably sharp from center to corner and yields amazing clarity, colors and contrast. Check out my full Nikon 85mm f/1.4G Review for more information on this lens. Nikon 105mm f/2.8G VR – without a doubt, the Nikon 105mm f/2.8G VR is Nikon’s finest modern macro lens. Optically it is so good that many photographers employ the Nikon 105mm f/2.8G VR for portraiture. It is sharp wide open and has a beautiful, creamy bokeh. In addition, it comes with a Vibration Reduction/Image Stabilization mechanism, which works its magic in challenging light conditions. A full review of this lens will be posted soon. 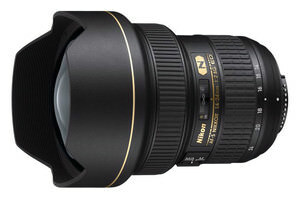 Nikon 14-24mm f/2.8G – the Nikon 14-24mm f/2.8G is one of the best lenses ever produced. The lens is so good, that some photographers use it with an adapter on their Canon DSLR cameras. It is sharper than many prime lenses that fall in the 14mm to 24mm range and yields amazing clarity and contrast in images. I would have called this lens perfect, except it has one major pitfall for landscape photographers – you cannot use it with normal circular filters. Check out my full Nikon 14-24mm f/2.8G Review for more information on this lens. Nikon 24-70mm f/2.8G – every time when I review the list of lenses I used the most at the end of each year in Lightroom, I find that the Nikon 24-70mm is usually the second most used lens after the Nikon 50mm f/1.4G. While it is not as optically good as the Nikon 14-24mm f/2.8G and has some weaknesses (like sharpness issues in the corners at large apertures, distortion and vignetting), it is a very practical lens for landscape photography on full-frame cameras. The 24-70mm range is perfect for most landscape photography needs and the lens is very sharp when stopped down beyond f/5.6. Check out my full Nikon 24-70mm f/2.8G Review for more information on this lens. Nikon 70-200mm f/2.8G VR II – if I need the flexibility of a zoom lens when photographing people, wildlife or landscapes, the Nikon 70-200mm is the answer. It truly is a versatile lens with a very useful zoom range and unbeatable performance throughout the focal range, from center to corner. The colors, clarity, sharpness and contrast are all amazing and the lens performs flawlessly on both FX and DX cameras. 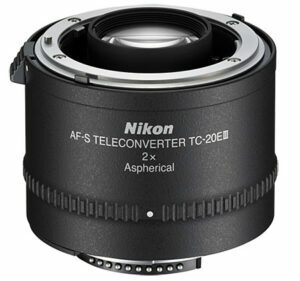 Furthermore, it magically works very well with all Nikon teleconverters, including the Nikon TC-20E III. Check out my full Nikon 70-200mm f/2.8G VR II Review for more information on this lens. Nikon 200-400mm f/4G VR – many of the wildlife images I have on this site are taken with the Nikon 200-400mm f/4G VR lens. It has a very useful focal length for situations when you need to zoom in tight or zoom out when the subject is too close or too large. It works very well with the Nikon TC-14E II throughout the 280-560mm range, but unfortunately does not like any other Nikon teleconverters (mostly due to AF performance issues). Sharpness-wise, it is very comparable to the expensive Nikon prime lenses and the bokeh it yields is very soft and smooth. A full review of this lens will be published soon. Nikon 300mm f/4.0D AF-S – Every time I want to travel lightweight on an airplane and whenever I do not feel like hiking with the bazooka Nikon 200-400m f/4, I take the Nikon 300mm f/4 AF-S with me. The Nikon TC-14E II is almost permanently mounted on this lens, because it performs very well with it, even in low-light. The AF performance is very fast, almost as fast as on expensive 300mm+ prime lenses and its optics are exceptionally good when compared to other lenses. Unfortunately, it has no Vibration Reduction, so you have to be a little more careful when hand-holding it in low-light conditions. Check out my Nikon 300mm f/4 AF-S Review for more information on this lens. 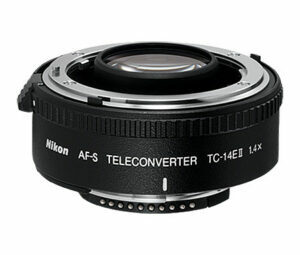 Nikon TC-14E II – if you need to extend the focal length of your professional Nikon telephoto lens, the Nikon TC-14E II is a no-brainer. It works with every pro lens, including the slower f/4 lenses like Nikon 300mm f/4 AF-S mentioned above. Unfortunately, the Nikon TC-14E II, along with other Nikon teleconverters will not work with zoom consumer lenses like Nikon 70-300mm f/4-5.6G VR. A full review of this teleconverter will be published soon. Nikon TC-17E II – the Nikon TC-17E II performs very well only on fast Nikon f/2.8 telephoto prime lenses and the Nikon 70-200mm f/2.8G VR II lens. While it certainly does work with most f/4 lenses, it is known to impact AF performance, which may result in blurry images due to focus errors. If you shoot in bright conditions, you might like the results when coupling it with such lenses as Nikon 500mm f/4 VR and Nikon 600mm f/4 VR. However, lenses will start focus hunting in low-light conditions very often, unless you are manually pre-focusing your lens and your subject is somewhat stationary. A full review of this teleconverter will be published soon. Nikon TC-20E III – the new Nikon TC-20E III is a surprisingly good teleconverter that works very well with all Nikon prime f/2.8 telephoto lenses and the Nikon 70-200mm f/2.8G VR II zoom lens. It doubles the focal length of the lens it is attached to and while it certainly does effect the image quality, stopping down the lens to f/8 produces very good results. Check out my full Nikon TC-20E III Review for more information on this teleconverter. I hope you don’t mind, but I was hoping to get some advice about neutral density filters. I notice on your gear list you have a 1.8 ND filter. Is this the only ND you use? The reason I ask is that, being new to dslr photography, I have had a heap of advice on ND filters and there seems to be no consistency in the answers. While some people have told me I need a ND fader, others have told me I need every coking filter on the market to cover for every possible circumstance while others still suggest 4 or 5 screw on ND filters and grads. Needless to say I am now confused! I already have a CPL, but I spend alot of time around water (rivers mainly – in dense bush and open areas). I am keen to start blurring water in these different conditions, but would also like to be able to take longer exposures at the beach. 1) will a 1.8 ND cover most situations? or do I really need to invest in several ND filters. 2) what are the drawbacks of these new “fader -type” filters? Am I best getting one of these? 3) if I were to get a grad, what would be a good general filter? should I be using a cokin to adjust the horizon? Or will a screw on suffice? I would appreciate any advice you can offer me. P.S. You website is sublime. You are clearly very generous with sharing your knowledge and for this I can’t thank you enough. Your site has already helped in choosing software and it has reinvigorated my enthusiasm for taking better photos. Some of your shots are just breathtaking! Phil, sorry for not being able to respond earlier – I somehow missed your comment. Yes, the 1.8 ND will cover most situations. You do not really need anything less or more. If you get a darker filter, your autofocus will stop working completely… I would just buy a single 1.8 ND. Are you asking about Variable ND filters that change the intensity as you rotate them? They are nice, but very expensive for what they do. If budget is not an issue, get one of those. Otherwise, the 1.8 ND will suffice. As for grads, it depends on what lenses you use. If you use wide-angle lenses below 28mm (full frame), I would not use regular Cokin filters, since they will vignette heavily. I personally use the larger Lee filters, but they are expensive. I hope this helps and thank you for your feedback! Great to see your equipment however understand it has changed in many areas (tripod heads, bags, no D700 etc. Any chance we might have an updated list for reference. Thanks again. Yes anything over the 1.8ND will play havoc with AF. That’s why the correct sequence is to AF and set base exposure without the ND filter mounted and then set the lens/camera to manual focus to prevent focus from changing. Next mount whatever ND filter you have selected and adjust shutter speed for the ND filter. This is basic procedure for ND filters and landscape photography. I carry several ND filters up to the Big Stopper and have no problem with AF doing it this way. Nevertheless D700 is being offer at a relatively good Price now and its upgrade model will be off course expensive and may not be within my Budget .. However my concern is about is D700 technology being dated now or it really does not make material difference..
Entropy, I apologize for such a late reply (gosh, did not even see your comment all the way from April). If I were you, I would look for a used D700 for under $2K. Check out eBay and Craigslist – you might find a good deal there. First off, I just want to say how happy I have to have found your site for info and insight to help improve my photography. It is a plus in my book that you are a fellow Nikon lover. I have a quick question that I hope does not take you away from your busy life. I am doing more outdoor weddings and have not been truly pleased with my CP filter on most shots. My shots are in and out of the shade. The weddings I have shot out side have been at the noon-4pm sunlight. I feel I need to add another filter to my list, but cannot decide on which one to buy first. I see on your equipment list you use a 1.8ND filter. Would you advise this same filter for my situations or a UV clear filter? I want to go with B&W or Hoya brands, as I have liked them in the past. I just do not have the current budget to buy 3 different types of $90+ ND filters. Grant, thank you for your feedback and I apologize for such a late response. For some reason, comments from this page are not coming over email to me and I don’t see what’s going on until I visit the page. I just have a query on what size memory card would be wise to use. I use a Nikon D90 and I just have the 4GB memory card that the store gave me for free. Now I want to buy another memory card, would you say that it will be wise to get a 16GB? or two 8GBs? I am unsure if the performance of the D90 will be affected with bigger memory cards as it is filled-up while I am shooting. Sorry to bump in Martin, but maybe I can help a little. I had a 4Gb for my D90, but upgraded to a single 16GB SANSDISK Extreme. I have had it near capacity several times while being away and have had no trouble what so ever. But this performance may be due to the very fast writing speed and may not be the case with cheaper cards. Thank you for your feedback Martin and I am sorry for such a late reply – somehow the comments from this page got filtered out and I never got notified about them. I know exactly what you mean by 2x8GB or 1x16GB – you are worried about putting all eggs in one basket. In the past, I would recommend to go with two smaller cards rather than one big card. Today, the cards are so good that they rarely fail – I own two 16GB CF cards and I would never go back to 8GB or smaller cards. If you are not doing anything critical, like shooting weddings, just go for the larger size. If you do rely on your camera for your business, then I would upgrade to something like D7000 that has dual SD cards. Then you can get two 16GB cards and use them in fail-safe mode. I have been thinking about getting a lens that can have a higher aperture for DoF. Currently with my D90, I only have the 18-105mm, f/3.8 lens. I am thinking of a 50mm f/1.8 lens. They have a AF 50mm f/1.8, but also coming out with AF-S 50mm f/1.8. Since I am not a professional photographer, would I be missing out much if I go with a f/1.8 (vs f/1.4)? Also, would I be better of paying extra for the AF-S or would AF suffice? Ash, I will soon publish the Nikon 50mm f/1.8G lens review – I think you should wait before you make the purchase on the older AF-D version. Just wondering if you already posted your review somewhere else or are it’s upcoming? Not yet, I’m working on the review and hope to publish it later this week/early next week. Hi! I am a fairly good amateur photographer who is graduating from initially a Nikon FE to a Nikon N70 and now to a DSLR. I love B&W photography and develop/print my own films. Am not able to decide between a D5100 and a D7000. I have a classic 50mm f1.8, a 28-80mm and a sigma 70-300 mm lens. What would you suggest? Gautham, go with the Nikon D7000 – it is a phenomenal camera. Thank you for making my choice easier! I actually had my mind on the D7000, but was contemplating on the D5100 only for its swivel screen. Does it actually matter to have a swivel screen? Does it not give some kind of an advantage in certain situations? On the other hand, I feel that this is a delicate piece and prone to breakages! Gautham, the swivel screen does not make a huge difference – the D7000 is still a better camera. Thanks once again!! The D7000 it is then!! Thank you for such a beautiful and informative site! I pose the same question as a prior writer about the Nikon D700 – would you recommend buying it now or waiting for its replacement? Thanks for the posting, it is interesting to see what you use, and when for when I make up my Father’s Day list. I use the Crumpler neck-strap which I love. I have a bad neck and it allows me to carry my 700 for hours without strain…highly recommended. 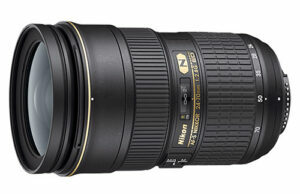 Interested in the 24-120 f4.0 for my trip in the fall…good all-around lens. Enjoy the site, keep posting. Steven, thank you for your feedback! The Crumpler neck strap looks very similar to the Op/Tech neck strap, so I am sure it is very comfy. The Nikon 24-120mm f/4 VR is a wonderful all-around lens, I really enjoyed testing it. Just bought it yesterday, hoping to get out this weekend. It is nice and compact, will fit in most of my bags which I like. The store clerk indicated that in 2 weeks Nikon is making announcements and that the supply of D700s has dwindled to nothing. I would expect the D4 and D400 to come first, but we will see. A great selection of gear! I have noticed with myself that as years goes on I start using less and less equipment. I could easily do a wedding with two D700’s and 50mm plus 24mm 1.4 – I don’t use anything else on 99% on wedding jobs I do! Martins, I agree – I am also getting old for walking around with heavy gear :) Last year I carried a D3s, 70-200mm, 85mm, 24-70mm and 24mm in one bag during a wedding and I will not do it again. My back and my neck hurt for weeks! Best choice! I love Nikon age 15 years. Thanks for such an informative website. Your website, Thom Hogan and Neil van Nikerk are my most favorite photography blog. I’m curious, what gears will you bring for travelling? Thank you for your feedback Albert! I typically either take the D700 or the D3s (depending on weight limitations). As for lenses, it depends on what I shoot. For landscape photography, my choice is 14-24mm f/2.8G + 24-70mm f/2.8G or sometimes just the 24mm f/1.4G. Often a good macro lens is also a good portrait lens and is always a good investment. The Canon 60mm or 100mm are two good macro lenses (f2.8) and the 60mm is a great portrait lens with the 550d. I think a good kit would include a general telephoto such as the 70-300mm of which Canon has 3 that I know of with varying prices. If the Canon is too expensive, also look at the Tamron. thanks for the reply. i think i’ll buy 50mm f1.8,(it’s relatively cheaper, and i think it’ll serve it’s purpose well, then i’ll save again for another lens☺). I would just like to say that part of the decision to consider the lens was because of your site, as ive said, although your gears are nikon,the information you post are easy to understand and are really helpful,i definitely learned a lot from here and thank you so much for putting this site up. and BTW: i decided to stick with my canon. but it doesn’t mean that i’ll start ignoring this site (hehe). Thanks!! Thank you so much for putting this page together Nasim. I love every single one of your articles and I’ve learned so much from your website already. Yours is always the first website I direct friends to who are looking to learn more. I have a couple of questions (and hope this is the correct thread to ask both). 1. What is the “correct” way to focus and compose a shot? I have been acquiring focus (on my children, my usual subjects) and then recomposing the shot. Following the “rule of thirds” when appropriate, I often don’t keep them in the centre of the frame which is where my autofocus is. I find this to be faster than trying to move the various autofocus points around. Is this an appropriate technique or should I be learning how to toggle between the different AF points instead? Given that my subjects are often my children, who are often moving, which AF modes would you suggest given the way I compose shots? I have been using the Single Point AF-area Mode with the AF-C Focus Mode. Your advice as to what he should take along would be greatly appreciated! Jane, I apologize for a late response – been too busy lately. 1) The correct way to compose shots is to move the focus points instead of moving the camera. The problem with focusing and then moving, is that you might actually change your focus plane as you move, especially when shooting at a very shallow depth of field. Using Single point AF-area mode with AF-C works best for children. 2) In terms of which gear to take, I would take the D700 instead of D90, due to better weather sealing and sturdier camera body. It will probably be very humid, then cold up north, so it is best to take the D700. As for lenses, I would take the 24-120mm f/4G for most photography needs and perhaps the 300mm f/4 AF-S to photograph birds and other wildlife. I would get the TC-14E II (see my article above) to couple it with the 300mm f/4. A polarizer would definitely be useful with the 24-120mm! WOW!!! I am drooling over here!! I am so glad I found your blog…. can I just say that I have learned so much over the past couple of days just reading through your very helpful blogs! Thank you so much for sharing your knowledge so freely and excersising your gifts through the digital world. I know there are many photogs out there that are thankful for your blog as well! I hope one day I can have just HALF of what you have listed here and I can only pray for God’s blessings to get me there :) Photography is my passion and it is so exciting learning new things in the photog world! Thank you again and again! I would second your choice of the Op/Tech strap. It almost felt like the camera weight on my neck was cut in half when I switched to this strap. I have a D7000 and have done a few weddings (my photo work is normally photo journalism) using a the 18-200mmVR and want to get better IQ, shallow DOF, fixed aperture, and less lens distortion. If money wasn’t an issue, I would have invested in a single lens upgrade to the 24-70mm, 2.8G (based on my hopes of upgrading someday to an FX body) to cover these types of time-pressure venues where constant prime lens swapping isn’t convenient and it would fit with my other photo work. Top of my wish list. My present $ budget compromise w/o compromising IQ lead me to recently buy the 50mm f/1.8G with the idea of keeping this lens on the camera as much as possible for the wedding. An amazing lens – AND at a great price! I was considering getting one more affordable wide angle prime lens, either the 20mm f/2.8D or 24mm f/2.8D. Each have their pros/cons. I’m leaning toward the 24mm for slightly better IQ, sharpness and less distortion with group photos or shooting in tight places. Your thoughts between these two lenses? … I enjoy using wide angle in my work and don’t like having to go extra wide with my lens selection just to adjust for the crop factor –– my biggest frustration with a DX camera! Tim, have you seen my Nikon 50mm f/1.8G review yet? I really loved the 50mm f/1.8G prime – it is better than the 50mm f/1.4G in many ways. Much appreciated. I’ve been thrilled with the results of my 50mm f/1.8G (and the small size/weight!). Thank you for taking time out of your busy schedule to keep your blog/website active and reviews coming. There are so many possible options depending on one’s specific needs, budget. Two options I had considered…Hold off on another lens purchase and just renting the Nikon 17-55 f/2.8 for the wedding or go ahead and invest now in the Sigma 17-50mm f/2.8 which is a very sharp lens w/vibration reduction, but it has some negatives… the focus ring moves during AF, less sealing against dust, no ‘auto’ manual override of AF, etc..
Tim, since you have an immediate need for your daughter’s wedding, renting a lens is a great idea! This is an exhaustive and amazing review, I cant put this into words. Being a new comer in the DSLR world, and after reading a lot of about the D3100, I finally bought it with the 18-55mm lens which comes with it. Being new to this , I would like to know more about what I should have with this camera, as I am still reading a lot about it. What kind of UV , Polarized , macro filter you will recommend and can you provide the link for the same. and any other accesory you suggest as I am completely new to it. Sachin, please see my “must-have DSLRS accessories” article. Did you replace your 24-70 with the 24-120/4 VR? I own both the 24-70/2.8 and the 70-200/2.8 VR II but the lens I shoot mostly with all the time is… …the 50/1.4 G. Therefore, I’m finding less and less excuses to own such heavy and expensive beasts like the 24-70/70-200, except for the versatility, which the 24-120 has in spades… Have you been using it lately? Luiz, no, I decided to keep my 24-70mm f/2.8G, because I abuse it quite a bit and need its weather sealing. I am planning to add the 24-120mm f/4 to my gear list for light travel though. Thank you so much for your advice on what my husband should take on his Arctic trip. I’m wondering what you would recommend to protect the gear from the elements. I’m mostly concerned about sea spray when he’s off the main ship on Zodiacs in the ocean. I’ve always just used a plastic bag when in light rain, but I’m wondering if something specifically dedicated to this would be worthwhile. Something like this? I’m a bit skeptical because that seems like a lot of money to spend and I wonder if it would just be too cumbersome to use. What would you suggest? Nikon 200-400mm f/4.0G VR – many of the wildlife images I have in my portfolio are taken with the Nikon 200-400mm f/2.8G VR lens. I believe you meant f/4.0. Love this blog – it’s a credit to you and your gift to share what you’ve learnt with others – thank you from everyone Downunder! I have a question that relates to choosing between a used D3 (with say 5000 actuations) for around $3500 and a new D700 for around $2500, given they have identical full frame sensors. I like the idea of the option of a 5:4 aspect ratio, high speed shooting and the 300,000 shutter rating on the D3, but the D700 has sensor cleaning, easier to use INFO button, far less weight and seems to be a class leader. Or should I just wait for the prospects of a D4 or D800 just around the corner?! Would love to know your thoughts. At this point though, I would wait till the end of September to see what Nikon announces, unless you cannot afford to wait. Great site and great advice and info. While wating for Nikon to bring out a new F4 or F800 I am buying some fx lens, so if nothing comes out next week I am going to purchase one of these (in my order of preference) 16-35 f4, 24-120 f4, or 24-70 f2.8. What do you think? My main interest is landscape and using a d7000 at the moment. Albert, I apologize for responding so late, somehow missed your comment. I agree with your purchasing decision, the 16-35mm is a great lens to start with for landscapes. As for 24-120mm vs 24-70mm, it depends on whether you will be shooting a lot in different weather conditions or not. For occasional use, the 24-120mm is a great lens to go with. For heavy/professional use, the 24-70mm is a better choice due to weather sealing and tough build. Many thanks for your great efforts in maintaining such a comprehensive website. May I kindly ask you to go through the following set of lenses? I am currently using a D7000 body and intend to buy the successor of the D700. I am into event/wedding, portrait, architecture, landscape and street photography. Christian, sorry, but I do not understand your request. What do you want me to do with the list? I am sorry for not having pointed out my request clearly. I was just wondering whether you consider the above set of lenses appropriate for my kind of photography (primarily event/wedding, portrait and landscape photography) or whether you would recommend further or other lenses based on your experience. Christian, no problem :) I think your set of lenses is great – many of my favorites are in the list. Frankly, I don’t think you need any other lens. I’m about to sell my D700 for an upgrade to D800 when it will be released. From the latest rumors, that will happen somewhere in this autumn. Also from the latest rumors it seems that D800 will have a 24 Mp sensor with the new metering system, new battery, same ISO performance as D700 and some other improvements. Now I have a dilemma. Should I wait for the D800 to appear and see how it will perform, or buy instead a D3s? I use the camera for wedding photography, so a FX camera is mandatory to have. And the future D4 will be too expensive for me and I believe that the price for the D800 will be comparable with the present price of the D3s (maybe a little less). So, what do you think? Bogdan, from what I have seen so far, looks like there will not be a D700 replacement coming out this year. 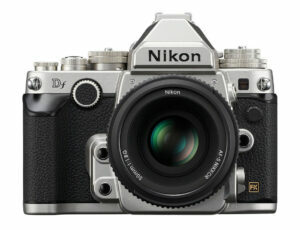 Perhaps next year Nikon will release an update, but we won’t know until a month or two before the release. As for the D3s replacement – it will not be more expensive than the current D3s. Nikon should price it at around $5K. Now whether it comes out later this year or not, nobody knows, but I am guessing 90% that we won’t see one this year. That earthquake in Japan really did affect a lot of things and Nikon is not the only one – Canon also will delay its products. If I were you, I would get the D3s now if you need it for your wedding business. I’d appreciate if you bought it through the above link. i love your site it is very informative I am planning to develop my career in landscape for display of large prints in a galleries, I want a second body I currently have the D700, should I buy the D7ooo or wait for the FX replacement. I need a second body i only have FX lens. Avril, I doubt you will be happy with any DX sensor after using FX. I would say wait until the next FX sensor comes out. 1 – Website does not have any advertisement at all. 2 – Font you have used is awesome clear and sharp as your pictures. 3 – Color of fonts and back ground is perfect. Question: Photography is my hobby as of today the last camera i had is NIKON D90 which i sold it. I used to have couple of lens (18-200 VRII, 50mm 1.4f) which i sold too along with camera. Lens: for lens I thought I’ll one prime lens every so which are lens I should buy and which one is going to be the first? Keeping thing is in mind that i don’t have to sell lens again in future if need i’ll upgrade camera body only. (DX or FX) I know every lens has different purpose. Neel, thank you for your feedback! For the camera, since you have already used the D90 and I am assuming you knew well how to use it, your next logical step to get into the “pro” area is to get a full-frame body. 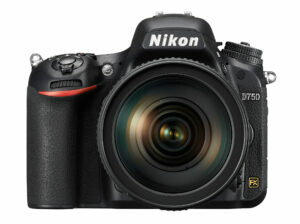 For your budget, I would say the Nikon D700 would be an ideal camera body. But that will be around $2,500 for the camera body alone, which is a stretch on your budget, since you also need a lens. As for the lens, it all depends on what you are planning to do. If you shoot portraits and people, the Nikon 50mm f/1.8G is currently the best 50mm lens for the Nikon mount. But that’s another several hundred USD on your budget. If you cannot afford this, then the step down is the Nikon D7000 with a couple of lenses, again depending on what you shoot. Nikon is currently giving up to $400 off on select pro level lenses when you buy a pro-level DSLR camera like the D300s/D700/D3s. But you will need a $4-5K budget for that, unfortunately. Do you have in mind to upgrade to a D4, when it will be available? What should D4 have as improvements to worth the upgrade from D3s? What improvements would you like D4 to bring? Bogdan, it depends on what comes out first :) If Nikon D800 comes out with a rumored 30+ MP sensor, then I will definitely buy that. Need a high resolution sensor for my landscape work. If D4 comes out first, I will probably buy it… My D700 is now over 3 years old and I am afraid it will die one of these days when I am out shooting. I have over 200K clicks on it, so it could happen any time. If items 2-6 are present in D4, I will place an order the day the camera is available for a pre-order. I could trade a network connection for other things, but will have to evaluate everything first before I make a decision. After over 15 years since I last seen a DSL camera, I had had a Practika back then, I have now purchased a Nikon D3100 kit with two lenses, 18-55 and 55-200 respectively. I have owned this set for just over 2 months now and as this photography thing is really eating me up inside, especially the HDR, I am now thinking of disposing of this equipment and buy a Nikon D7000 with a 18-105mm VR lens. I really could use your professional opinion regarding this. I feel that I could do much more and better with a Nikon D7000 but would I be wasting my so hard earned money? Eventually I could see myself progressing to professional photography such as weddings etc. I hope that you can spare me a few minutes of your time and congratulate you on the vast information that you are sharing on your website. Should you want to see some of my pictures, you may please lock for Carlos Arruda – Norfolk – UK on Facebook. One thing I am struggling is on landscape sharpness and focus. Do you recommend D90 with 24-120/f4? or I should stick with DX lens? Philip, if you do not have any plans to upgrade to FX any time soon, then I would stick with a cheaper DX lens like the Nikon 16-85mm DX. The Nikon 24-120mm f/4 is a phenomenal lens, but I think 24mm is not wide enough on DX. Thank you so much for sharing all these information and knowledge you have! It’s really nice of you to have time and energy to answer everybody’s questions! Thank you for your feedback Renata! This is a great website resource and very detailed. Thanks, I’ve learnt alot, especially how to set up and use lightroom. My comment is about the impression that I get from this “gear showcase page” I just think that some people who are looking to get into more serious photography- ie upgrading from a point and shoot, but not wanting to go professional – could wrongly get the impression here that it is the best gear that makes the best photograph. In the end being resourceful, creative- having empathy for your subject, an eye for detail… this will get you interesting shots, and photos with real “power”, not just “image quality”. For the professional photographer, the perfect sharpness, the best boquet, the widest lens and multiple other things that this impressive array of Nikon lenses boasts will surely be invaluable. In the end the best (by best I mean captivating/powerful/memorable) photograph will not be taken by the best camera, but by the best photographer. And focusing too much on gear on websites like this can, I think, prevent people just starting out (like me) from focusing on improving our skills, and our “eye”- thinking if only we had a better camera, or a better lens, our photos would be perfect. Nothing could be further from the truth! PS are you sponsored by Nikon/ get free gear from them? I chose to work with specific gear that does the job for me, which is outlined on this page. I also provided notes on why I use a particular lens or camera, sort of a “mini-review”. This page is not meant to encourage or discourage photographers. It is just an informational page. I have plenty of articles on what to buy for beginners and I would never even mention cameras like D3s or D700 in those articles, because this kind of gear is not meant for those who are just getting into photography. This page is titled “our gear” and this is what Lola and I use for our professional work. Could I make similar images with another camera and other lenses? Most certainly. Could I use cheaper lenses and cameras? Absolutely. But like a good painter that wants to get the best brush and paints on the market, I go and get the best tools for myself. And all I am doing here, is sharing what I have and why I chose it. I don’t think there is any harm in doing that. And no, I am not affiliated with Nikon and nobody pays me to do what I do. Greetings Nasim. Your site is just awesome, the way you delivered the reviews, supplemented with those stunning shots, its just amazing. 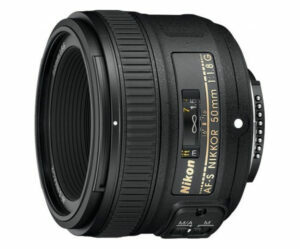 Option A: the kit Nikkor 18-105 as the walkaround zoom supplemented with 35 f/1.8 prime for low-light situations. Option B: the new Sigma 17-50 2.8 OS HSM. Fiscally both options are within our budget as well as roughly around $150 of each other, but wondering which option would be a better choice for our kind of requirements, which is daily photography, vacation, family gatherings and events, family portraits, and most importantly, an expected new addition to the family early next year. Main objective is to create best possible memories revolving around our newborn which will be cherished for the remainder of our life. On my background, have been using a D90 with 18/55 and 70-300 for around 2 years, which I sold-off last month, thus not a total newbie. Highly appreciate all your inputs on my dilemma. Thanks. Anil, I would pick option A if I were you. Thanks Nasim for your comment, would surely go ahead with the Nikkor combo. Just out of curiosity, is it that Sigma is not favored owing to the range, or there really is nothing much between the two in terms of image sharpness, color rendition etc. Everywhere else I’ve found find Nikkor is in favor for great price/performance quotient, except for the plastic mount. Anil, I have not used the Sigma you mentioned. I only recommended option A, because it includes a nice prime lens for low-light situations. The 35mm f/1.8G is a very sharp lens and works great on DX cameras – the Sigma cannot do what the 35mm can. I want you to know that I appreciate your work and your in depth product reviews. Looking at your gear pages, I notice that you do not include either the 24-120 f4, or 16-35 F4 lenses. You reviewed these lenses very favorably, specially the 24-120 vs 24-70. Are these F4 part of your standard gear, of have you chosen not to include them? if not, then can you plese share why? Thank you very much for this website!…I want to buy my first DSLR to do some children and family photography. (I don’t know if it is too pretentious to think that I can start to make some money out of it). I know you recommend to buy an entry-level amateur camera if this is your first SLR. But I am between D5100 and d7000. The money matters but I can get financing and I also have 2 old Nikkor lenses AF (28-80 3.3-5.6 & 70-300 4.5-5.6) which can work on the D7000 but not too good on the D5100 as you know. Should I buy d5100 or d7000? Should I sell my lenses or keep them? Thanks a lot for this great website and the plethora of great information. I am new to dslr photography and use a nikon d5000 with a 18-200 vrII to shoot for all my needs. I am currently in look out for a flash and have decided on the sb-400. I would use the flash occasionally and hence dont want to invest a lot into that. Would you kindly advice me if I am taking a correct decision on the flash or not. I mostly shoot landscapes on outings and occasionally shoot portraits indoors. Also for my needs, do I need to upgrade my camera or my lens. Tanks in advance for your guidance. I have been already following your website since a while. You guys have been putting your dedicated efforts for this site. Hats off! Thanks SO much for everything you do for us. I’m only very amateur in this area, standing on steep learning curve. I realised a while ago that there is a different world of camera system and photography. I didn’t know it’s so vast topic. I have Nikon D90 (first dSLR) and 50mm/1.8D lens only, though there are lots of confusions and overwhelming information around to grasp. But, I have decided to follow your tutorials one at a time. You’ve categorised each topic very well. Add me to the list of people that say thanks a million for all you product reviews, tutorials and great advice that you offer! I thought I’d just add my comments to your gear page because this seems to be the place where I lot of it comes together (from my point anyway). My first DSLR was the same D80 kit 4 years ago when I came to Dubai. I have now given that to my daughter simply because it still is in good condition and a great way to start out. Last year I got the D7000 and what a magic piece of equipment! I am fortunate enough too to own the 14-24, 24-70 and 70-200 2.8 range (someone once said you’ll never be sorry if you have the right glass – I agree). The lenses are no doubt wasted on DX, but the D7000 is so great that for now I am happy with this setup. I enjoy shooting events and exhibitions (70-200), architecture (24-70) and landscapes (14-24) (preferred lens in brackets) My next lens is the 50mm 1.8G………. I plan to shoot out as many of the 150 000 exposures the D7k can do before changing the body, but if that was tomorrow, I’d be pushed to decide between the D4 and D800. I’ll have to wait for more of your actual hands-on reviews of both before I make that decision though. I have some questions on PS versus PSE versus Aperture 3.0 that I’ll post under the right Category, but for now thanks again and I look forward to many more hours of happy reading! Oh, and Happy New Year to you and Lola! Thank you so much for sharing all your knowledge on your blog. I have a Nikon d700 and was curious what mode do you normally shoot for a wedding? I was also wondering what settings do you change on your camera when you first purchased? Hi Nassim a very informative unbiased website.Would you know when the nikkor af-s 70-300 vr zoom lens will be superceeded. How do you store your camera equipment in your car on a hot summer day? I have become a fan of your website, and it helps me so much in choosing my gears and improving my skills too. I’d like to thank you for everything. I was wondering if you can advise me on something? I have pre-ordered a Nikon D800, and was thinking of getting a good lens for it. I currently have a Nikon D7000, for which I had purchased Nikon 24-70mm f/2.8, but I had to return it because of the lack of VR, I could not utilize the lens, pictures weren’t coming out sharp. I rented a Nikon 24-120mm f/4.0 VR, and the picture came out perfect, thanks to VR. 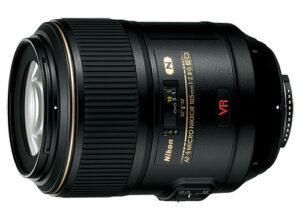 Now I am thinking of getting the Nikon 24-120mm f/4.0 VR, but thinking if it would be a good lens for D800. I will mainly be using D800 and the lens for Studio photography. I’d greatly appreciate your advise, thank you very much indeed. or use my d200 body and just buy better lenses? I realize there is a differnce in sensors, but unless it is huge, I’m not sure if it is worth the money. Any advice would be great. Personally I would get better lenses. Starting with a 50mm f1.8 or 1.4. In fact the 500mm f1.8 is so cheap that its almost a crime not to own it. Due to a bit of a mishap when I damaged my d300, I am now using my old D200 for a while (untill my d800 arrives). After the first day of use I was quickly reminded how poor the noise performance was compared to modern cameras and that I didnt have so much freedom to crop. My response was ” oh yeah thats right, I have to be a photographer now and think a bit more”. I have done many events since such as sports, weddings and a complex product shoot and I have not felt limited by having to use the D200.It was the lenses that was important for these, not the camera. The D200 takes fantastic images you just have to think about what you are doing and that is helped by lenses, especially fast ones. Modern cameras do certainly take better images(mainly due to resolution and ISO performance) and give more scope, but they can also make you slack. From the sound of things you still have alot you want to learn about photography and the D200 will be perfect while you learn and acquire lenses to fulfill your needs which “will” make you a better photographer. Thanks for the advice! Can I buy lenses that will work with the DX mode of the D200 and later be used for an FX sensor? In your opinion, would I get great performance with the D7000 using the faster DX lenses? I always bought FX lenses even though I was shooting DX, knowing that one day I would upgrade. All FX lenses work on DX but not the other way. If you are happy to stay with tthe D7000 and DX lnes then just buy them as they are cheaper and just as good for the most part. If you want FX in the long term then just get them now. karen, get FX on the long way, you will by an FX somewhen… it like a dream! I would love to hear from others here also, but I ordered the d800 specifically “because” I shoot wildlife and landscapes. D8oo has awesome detail for landscape and a usefull dx and 1:2 crops for wildlife so we can still get plenty of pixels on the subjects. Sounds like the d800 would be perfect for you. BTW the d700 is going to be available still for most of the year with a handy discount as well, and new price of $2199us down from $2699. Your page is a huge help for me. What would you recommend for a studio lighting kit? I need something that I could travel with. I’ve been checking the kits on Adorama but I’m overwhelmed with the array of lightning equipments they have. I came across your article, photographylife.com/nikon…on-vs-sony. I guess this article was quite old and I can see a new release from Sony recently – Alpha 35 & Alpha 55. I’ve been using point-shoot camera for long time and wanted to purchase my first DSLR. Till last week my confusion was between Nikon & Canon and from last week Sony Alpha aggravated the confusion :( Can you help me in buying my first DSLR ? Where is the 16-35, did u decide not to keep it? I have asked you this question by misteke somewhere else, sorry for not having actually checked this section of your web site earlier. Would you recommend any advanced courses, either in books or preferably in DVDs, regarding Retouching anbd Restoration of old, damaged photos? I am an avid and intermediate-advanced PS user and would like to extend my techniques and learn more. Thank you in advance and congratulations for one of the best web sites on photography! Have you heard anything about an upgrade of the 70-200mm f/2.8G VR II or the 24-70mm f/2.8G? Please allow me an additional question to my question above. 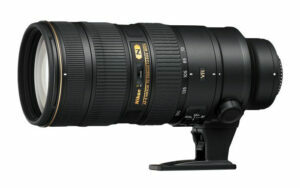 Do you expect the 70-200mm f/2.8G VR II and the 24-70mm f/2.8G to meet the needs of the D800? In my experience these lenses are amazing on the d7000. The D7000 has more pixels for a given area than than the d800 even thought the actual amount is less, What the d800 does use the density of pixels(more or less) of a cropped sensor(dx) camera but in a larger overall size(fx). When you look through a fx lens on dx camera you are just looking through the middle bit, the d800 lets us use the bit on the edges as well but at the same resolution. So given that the d7000 is excellent on the lenses you mentioned the d800 will be epic!! Many thanks for this, treehaus. Following your deliberations, I will keep both lenses. Do you have any experience with the use of pocket wizards radio triggers mini TT1 & TT5? May be you can help me out with the problems I am having trying trigger Nikon flashes in commander mode. The pocket wizards seems to work well in full TTL mode but doesn’t want to communicate in commander mode. 1 x mini TT1 and 3 x TT5 along with 2 x SB910 and 1 x SB700. SB700 is attached to Nikon D3s via the TT1. All the pockets wizards were set to CH1. I am an amateur photographer and am currently researching into buying good quality lighting equipment to be used for portraits within a church context- This being single and group shots. I’d appreciate if you could offer any advice either directly or any websites or books that you would recommend to help with learning more and being able to make a more insightful decision on what equipment to buy. Greetings: I have been following your site and respect your opinion on photography gear… I am at a crossroads as to what to purchase. I don’t quite have the budget (yet) for a D700 (or D800) and I would like to expand my hobby in to something more serious. I am at the point where I want to upgrade from my D70s and I am considering getting the D300, save some money and then buy the D800 (maybe D700) and then use my D300 as a backup camera. Is this a good plan or should I save a little more and get the D7000, use that and continue to save for the D800 (or D700)? Thank you for your time and recommendation! I have had a D70 and upgrades to a D300. The latter is a great camera, but is a DX format one, so I imagine that you’re after, eventually, an FX format. 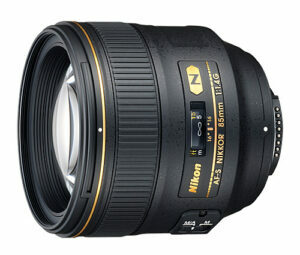 I am about to purchase a D800, but if you do buy the D300, make sure you get the best Nikkor DX lenses available. Another solution is to get the D300 and purchase good FX lens glass, which would be used with your D700/ D800. Using the FX lenses on DX camera bodies has its drawbacks in a sense that you compromise on focal lenghts, but perhaps this would be a good solution, and theimage quality will be the best you’s get on a DX sensor. don’t worry guys :D d700 is the best thing you can get. I am currently interested in buying a neutral density filter. Is it worth buying the Singh-Ray’s Vari-ND filter instead of the B+W 77mm ND 1.8 filter? Or does the B+W easily suffice? What do you guys think? Further, what is your strategy in buying filters? I have an UV/Clear filter for every lens (for “daily protection”) and, additionally, one 77mm B+W Kaesemann polarizing filter and would now add a 77mm neutral density filter. Should I ever want to use the 77mm polarizing filter with a lens which is smaller than 77mm, I would work with step up rings. Many thanks for every response. The Singh-Ray Vari-ND filter is available as a “regular” and a “thin” version. Is there any noticeable vignetting with the Nikon 24-70mm lens below 35mm when using the regular version? And could such vignetting, if any, be avoided with the thin version? Further, as to the polarizing filter, would you rather get a Singh-Ray neutral circular polarizing filter instead of the B+W Kaesemann? Just curious — any idea about when we will see your review posted of the Nikon 200-400 lens? If most all of your wildlife photos are taken with that lens — I am very favorably impressed with that lens and it performance. my son has 9 years and he loves to go out with me for bird photography. What entry level camera would you recommend that allows him to zoom in and to shoot some decent pictures? I think its important to keep the interest up in the next generation and it is a nice feeling for me too. Thanks again for your valuable help. I am looking for an ultra-compact point-and-shoot cam for my parents. Currently, I lean towards Canon’s S100. But as a long-time Nikon DSLR enthusiast, I would be interested in whether Nikon offers a true competitor to Canon’s S100. Should this be the case, I would go for that. Do you guys see any alternative to the said Canon S100? The D800 really has me thinking about switching back to Nikon. Would you mind if I pumped you with a few questions from time to time since we are almost neighbors (I live in the Albuquerque NM area). I have a lot of questions about building a system from scratch. My wife and I are planning a trip to Estes Park for two nights and Breckenridge for 4 nights, and maybe Steamboat Springs for a couple of nights, we are going end of September so may have some questions about those areas. I found your site because of a link on DPReview relating to the 24-120 review. You own the 24-70 but seem to be impressed with the 24-120 so I am debating which to buy. I want to do more portraits and I do a lot of sports. My dream is to sell landscape prints and this is why I am thinking of making the switch. it seems you have a big pocket :D, but why don’t you have any Zeiss Lenses? i thought they are the sharpest and catching more light, is it not true? p.s. how often are you traveling to tashkent? I was wondering if I could ask for your opinion on a specific camera body system, if you have a little time please. I’m an amateur documentary style photographer and I happen to be a bit of a night owl, I tend to do most of my photography in the middle of the night, somewhere around 2-5AM, don’t know why but I like that sort of time. I started out photography about three years ago with a Canon 40D, didn’t know anything about cameras so just brought that one, but it was totally useless at night, because it just couldn’t focus in moon light. Four months ago I brought a Nikon D7000, it was just a fantastic camera but I dropped in from a bridge and that was the end of it, but that was useless focussing in moonlight as well! Couple of weeks ago I brought a Canon 5D Mark III, It can focus under moonlight but it tends to hunt half the time, I have to use ISO of around 6400/8000 for moving objects which results in heavy noise, colors go all horrible yellow and green and the overall experience is just not enjoyable at all… after spending $4,000 i’m still a frustrated photographer. Just in case if you’re wondering, I only have two lenses, Canon 70-200 f/2.8 IS and Sigma 85 f/1.4, and i’m always using them at their shallowest best. You seem to have experience with both Canon and Nikon camera systems, and I guess the question I was trying to ask is that in your opinion, what would you say would be the best camera body for someone with my specific kind of shooting style? I have no doubt in my mind that I need to get either a Nikon D4 or the yet to be released Canon 1D-X. Just don’t know which one. Obviously there are no rental shops where I could rent one of each to test, and going into photography forums is useless coz they’re full fan boys from either sides and you don’t get any serious answers from experienced pros. Even though I have Canon mount lenses, I don’t really care about switching to Nikon, my cheap little Nikon D7000 was a fantastic camera and every time I looked at the images in lightroom it use blow me away with its color metering and DR, and even after 3000 shots I still don’t get excited about any of 5D Mark III’s shots. Sure I could buy a D4 right now (would have to pay a lot more) but in your opinion, are D3s and D4 really in a different league when it comes to shooting in moonlight? Especially the AF, and what about those horrible colors and that crappy loss of detail that I get from my 5D Mark III at ISO 6000/8000? We know those pro sports bodies are designed for that kind of work, but are they really that good? I’m not really sure if I should just get a D4 now or do you think it might be worth waiting for 1D-X. I was wondering I you could shed some light on this because I have no experience at all shooting with those pro camera bodies. I’ve recently taken a keen interest in bird photography. As I await receipt of my D800, I’ve been doing my homework on lenses. 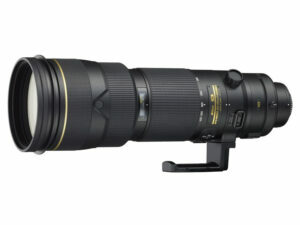 The Nikon 400mm f/2.8 is what I would like to ultimately own. However, to keep it affordable right now, I am gyrating between the Nikon 70-200 f/2.8 VR II coupled with the TC20 III and the Nikon 300 f/4D ED -IF AF-S coupled permanently with the TC14 II. Both will have about the same reach with the respective teleconverters. Initially I will be taking photos in Central Park of small birds (woodpeckers, cardinals etc.) and eventually graduate to hawks in flight. Given the budgetary constraints which of these lenses would you recommend? Or is there another lens I should consider that is within the same price point of the 70-200 f/2.8? you could get a cheaper solution now, and consider to buy better lenses in the future. bought d700, which is perfect for my needs. i am not sure, i don’t think i need 36mp, don’t know about you. i am downsampling every of it, so i can just stay with d700. d800 i a outstanding camera, but without downsampling its produces more noise as d700, may be i shot wrong, but with same settings it only wins with downsampling… i am a bit disappointed (crying at high level). you would save a lot of money, and invest this money into a good lens, d700 works perfectly with all lenses and they do not thwart d700. just try d800 and try d700. if price matters, you wouldn’t want to buy every week a new hard disk for fotos (big size :D) of d800. you would lots to shoot with RAW and since you doing this anyway and still want to keep d800, i´d say get d800E. i took a lot of time with my bad english and not professional advices, but all this is same way, i guess, which i get through in last weeks. i did it only for testing purpose of cause! i wish you strength for you decisions and may be light be with you! I have been doing portrait photography for sometime now and now I wish to move on to wedding photography. I have read your posts here and I feel encouraged about the fact that I don’t need a whole set of fancy lenses to make a mark with wedding photography at the onset. I was considering investing in 24mm f/1.4G and 70-200mm f/1.4G lenses for my Nikon D90 camera. I couldn’t get more at this time. Will this be adequate or would you recommend anything other than those I have mentioned. Would SB-600 be okay? I wouldn’t have money for more at this point. I am a keen follower of your website and posts here and boy you are such a help. Keep at it. The likes of me benefit a lot from these. Hello Nasim, do you use any kind of white balance tools in your work? Have you tried comparing Expodisc, ColorRight, WhiBal, etc.? What’s your opinion on them? Are they worth buying if shooting raw but want to avoid doing white balance or color correction in post processing? Thanks. Hello Nasim, what do you think of the combination of the 16-35 and 70-300 on the D700 for landscape photography ? Will I miss a midrange zoom ? One last thing, I intend to buy a hoya ND400 which is 8 stops, do you think it is better to stick to the 6stops B+W (I have read that variable NDs should be avoided on wide angle lenses just like polarizers due to the uneven effects) ? Let me start by saying that your website is a great platform for us photography enthusiasts and beginners. I found a lot of useful information regarding lenses and techniques for wildlife photography. I have a Nikon D5100 with a 18-55mm lens that came with it. I am interested in wildlife/landscape photography. And for a long time now I am meaning to buy a telephoto lens. What do you suggest which lens I go for and how should I chose a good lens? Also, should I be looking at macro lenses as well? Please suggest what kinda tripod i should buy. When do you expect to publish the review for 105mm f2.8? I’d like also to have your thoughts on 105mm f2 DC comparing with the first one. I think about getting the new Synology NAS 1512+ to outsource my photos and my music and video library. I am currently working with a MacBook Pro that I would connect wirelessly to the Synology NAS. Does anyone know whether the wireless connection with suffice to edit raw photos on the MacBook Pro? your website is a “google” for us & I found a lot of useful information about lenses and cameras. I have Nikon D5100 & need to buy one wide angle lens. Kindly advise, which one is the best. Have been through your site and very impressed with the way in which you take the time to answer people’s querries. I would like your recomendation and specification on what to buy in terms of filter (Grad ND). I dont mind investing in an expensive system as long as I know exactly which one to buy. From my research so far I have narrowed down to Lee Filters but not sure which one to buy. 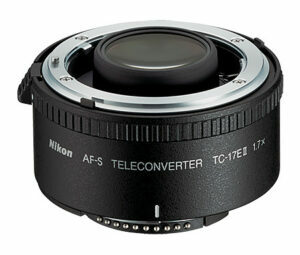 I have Tokina 11-16 as my wide angle lens which has filter thread size of 77MM. Your advice in this regard will be very helpful. I cant thank you enough for the stream of information you have posted on this website, you have answered some of the most complicated querries with so much of ease for learners. I use a Nikon D80 with 18-135 lens and have been a little dissapointed with the zoomed pictures, when i am zooming the lens to the fullest or partial and taking the picture of an object/person at distance, the image is blur when i am zooming and viewing it on my laptop.. I went for a out door shot last week and took some long distance shoots of Cranes and brids, mountains, lake etc , but when i zoomed to view the picture on laptop, the face of object is becoming blur even though the pictures were taken in Raw format, i didnt use any tripod to capture these images as the camera is quite fast and it was a day shoot. I would also like to mention that the close up pictures are coming very clear and good and i am satisfied with it.. but the distant images are mostly blur when i zoom it on laptop.. Need your advice badly as I am very disappointed after my 4 hour shoot I am getting nothing out of it, even the pictures taken in one of my recent trips were of poor quality..
On a different note, since my intrest primarily lies in out door shoots, lakes, moutains, Brids, wildlife etc.. i am planning to get myself a Nikon 70-300 vr lens, pls let me know if that suits my requirement.. I m not going for a camera upgrade as of now as I am short of cash, but if I have to in 6months down the line, which camera would you suggest looking at the requirement.. Greatly appreciate your comments and suggestions on my queries.. I am really impressed by the content of your website. I was wondering how did i miss your information till today. I am not a big professional photographer but trying to be one of late. My job is something else but i often get chances to shoot aircrafts as i am from the aviation field. Currently, I have D7000 (planning to upgrade to D800 later) with a sigma 150-500 with Nikon AFS 28-300. I read your review on AFS 300 f/4. seems attractive to me with a TC 1.4. Do you suggest me go for it? I will not be able to afford other expensive lenses. I will wait for your reply eagerly. Rana, the Nikon 300mm f/4 AF-S is a superb lens optically – you cannot even compare it to the Nikon 28-300mm. If you are after wildlife, that’s the lens you want. Thanks a lot for your reply. In fact, i have already purchased this lens and started using it. I am expecting our aircraft to fly soon so that i capture her during flying (from ground). Thanks again for the information. One can just read all your posts and learn a lot about photography. I have not hesitation in describing you as the most friendly pioneer in digital photography. Thanks again. I was hoping to get a little advice/constructive criticism. I’ve been shooting for a couple years now and was wondering what is holding me back from breaking through. I often feel like it’s clarity/sharpness of my images… I’ve definitely improved but wanted to know how much of a factor having the right equipment plays? I shoot with my D7000 and 3 prime lenses (35, 50 and 85mm all f/1.8). I often feel like my results aren’t as good as some of my friends or other photographers. Would you suggest my equipment is the problem or is it more of a user issue or both? I thought about upgrading my body and considered getting a couple more lenses but don’t know where best to spend my money. Would a D700 or 800 and a few different lens really change the quality of my picture? What lenses would you suggest? One other thing, everyone I know shoots Canon. I’ve got this in my head that my equipment just isn’t as good as Canon, and therefore my pictures aren’t as sharp. Any advice/feedback you could provide would be greatly appreciated. Daniel, to be honest, equipment plays a small role in photography. As Ansel Adams famously said “the single most important component of a camera is the twelve inches behind it”. Your Nikon D7000 is a superb camera and you should be able to create beautiful images with your excellent prime lenses. It seems like you need to work on your post-processing skills. Any modern camera is capable of producing sharp images and I can tell you for sure, brands do not matter – see my Canon vs Nikon vs Sony article. The grass always seems greener on the other side :) I have worked with Canon and Sony DSLRs and I can tell you that they are in no way superior or inferior to Nikon. All have their advantages and disadvantages, but switching to Canon will do nothing in improving your images – you will suffer the same. If you can, consider attending our upcoming workshops. If you can’t, check out some articles on post-processing and sharpening that we published earlier here. What will you be using the tripod for and what is your budget? What is the biggest lens you will put on it? Any weight and size requirements? It will be mainly used for landscapes at night and macro photography. Currently my heaviest lenses are the 200mm f/4 Micro (you really should do a review on this one, it is probably Nikon’s best optics), and the 14-24mm. I do plan on getting the 70-200mm VR II one day. I would prefer not to go over 900$ for the tripod + ball head but I know how these things are… :) So let’s say that budget is not the real concern at the moment. I would probably be taking it on vacations with me so the smaller/lighter the better, but that is completely secondary to performance, sturdiness and EASY operation. I already have a nice “cheap” tripod that actually does an ok job most of the time so I might just use that if I don’t want to carry too much weight. Oded, do you have any plans in the future to use really long lenses – 300mm f/2.8 or longer? I don’t think so, no. I think my limit is at 70-200mm + TC20E III. For that one potential trip of a lifetime to Tanzania with a rented 200-400mm lens, I don’t think I’ll need to invest in a matching tripod :) I might just rent that too. Thank you very much for your recommendations, Nasim, I’ll go have a look at that review. I understand RRS only sell directly on their website? I couldn’t find them on Amazon or B&H. The only concern I have is with weight – wouldn’t it too much to place a D800E + 70-200mm lens + a camera bag below (for support)? The spec sheet claims only 15.4 of max load. Thanks again for all your help Nasim, it’s help like this that makes me keep coming back to this website. Nasim, just wanted to thank you again for your recommendations and provide a little follow-up and recommendation. After realizing that shipping the RRS ballhead to my country won’t be very expensive and the total cost of the tripod+ballhead+plates would exceed 1000$, I started looking for alternatives. Benro is a name that always comes up as a good alternative to Gitzo tripods. There were a lot of complaints in the past that it’s actually some sort of a rip-off, but I understand that both companies disputed that since then. I orders the C2682TB1 tripod from eBay. It was shipped from China with free DHL shipping. I had it in my hands in less that 5 days! My first impressions are VERY positive. The tripod is not as light as the Gitzo traveler+RRS ballhead, it is around 300-400 grams more, however it is indeed carbon fiber, comes with a matching ballhead which is very nice, sturdy and fluid (rated at max capacity of 12kg, though I would probably stay under 8 just to be safe), the tripod legs are VERY sturdy, and it folds to about the same size as the Gitzo (there’s a 5 sections model that is shorter when folded but I passed on that one). The best feature for me, however, is that with the center column down, it is at a perfect 140cm height, which when adding the camera is almost eye-level. There’s just no need for the center column at all. With the center column high, it reaches over 170cm, higher than I am. The seller I bought from on eBay (1cent2008) also through in the package an extra mounting plate and a short center column, which basically eliminates the column out of site and makes the weight smaller. Among other features are the ability to detach one leg and make it a monopod – a very nice gimmick :). An even nicer (and less useful gimmick) is the ability to convert the leg into a walking stick for hiking. The supplied wooden handle contains a compass. All in all – a really great deal for a tripod which is very sturdy. My test was the Nikon 200mm micro lens at 1:1 distance – the lens remained still, which was my main use case. All of this for 350$. A very good deal. *the first sentence meant to say: “shipping will be VERY expensive”. * it will be used with a D800E. Hello….very informative site….I really enjoy reading your articles….please keep up the great work. My question is regarding picking up a used D700 at this time now that the D600 has been introduced and as you very well know the D800 is also out. I’ve been shooting with my D200 from the day it came out and have been shooting mostly family related items but not exclusively….I also enjoy shooting extreme closeup of chrome on vehicles and blowing that up and did shoot plenty of dance competions where my daughters were participants….this is when I first got wind of the D700 when it first came out…almost bought it for the high iso then but it was too expensive for me so I just went along with my D200….welll, I guess I’m itching for a new camera now and have been reading every thing I can including your site, dp review, nikonians, photonet to see what I should be getting next….well its not that easy….up untill a couple of weeks ago I did find a very nice d700 with a 3rd party grip with lless than 8000 actuations for about 1800 in the Toronto area….then I waited to see what the D600 would bring and now, well, I’m a little confused….the d800 is too much camera with the high pixel count , the d600 is lacking in a few items and the d700 well, as everyone seems to think in various articles and forums is a little behind in image quality….hmmm……hard to make a choice…..would you still pay about 1700-1800 us or cdn $ for a clean d700 knowing that a d600 is only $2100? I guess if it were $1200 – $1400 that would make it easier to swallow, however, I don’t see that happening up here….any thoughts? Which one best Canon 7D or Nikon D7000? I live in Bangladesh. You have some great artciles and guides on most gear, but it would be great to see something on photo printers, simnilar to your guide on monitors. I’m not a pro, but I would like to ocassionally make high quality prints. Budget is $200-$500. Will you upload the review of Nikkor 105 f2.8? I have the impression that many people wait for this. I have been struggling with my NAS performance. We have a lot of photographs and wanting to store them off our laptops, both for backup and space reasons. I bought a DLink DCS-320 but I found the performance was very poor. I have just bought a Synology 412+ which offers 2 network connections for higher throughput. I am using WD Red-3T drives which I was told are certified for NAS systems although they are only 5400rpm drives, I was told that the latency would not be an issue. I also have a couple of Seagate Barracuda 7200rpm drives which are currently in the DLink NAS device. How do you manage this? My network is wireless and I have considered upgrading my router, although I am using the Mac TimeCapsule 2band N router which is not a slouch. Its tough when you manipulate RAW images which are significant in size. Interested in your comments about how you manage this. My name is Abhinav and I am an amateur photographer and practice photography as a Hobby. Firstly, I am blown away by your photographs and the composition in each photograph. I regularly visit your website to view your take on various topics. In fact, it was your clear and concise elucidation of DX vs FX that helped me grasp the difference. between the two. I was wondering if you could share a bit of your expertise on a matter that is currently vexing me. I currently use a 18-105mm lens (67mm circumference) on a DX (d90) body and I am keen on buying a sigma 17-50mm f2.8 lens (77mm filter circumference). I am planning on purchasing a Cokin filter holder along with a 67 -77mm step up ring to use soft edge GND (0.6) and ND filters (0.9) on both lenses. 1. Should I purchase a Cokin P series or Z series filter holders so that I can use both lenses with it?. 2. are there any irreversible side effects (heavy vignetting or lens intrusion)?. 3. Rectangular or square filters? 4. is a soft edge GND 0.6 sufficient for most photographs. After exhausting all my google search tricks, my understanding is that, if I am required to use both lenses, I would need to purchase, a filter holder (either a P or a Z series depending on your answer), a 67mm adapter ring to use my 18-105mm and a 77mm adapter ring to use on my 17-50mm, right?. Sorry for such a long question. Since none of my web searches have granted me the answers, I am forced to bother you and the residents of this fine photographic community with my unanswered question. Any advice on the above matter is greatly appreciated. First of all Merry Christmas and best wishes for new year 2013 in advance to you and your family! Recently I have bought a Nikon D7000 (body and 18-105 mm Lens) from Amazon, USA. I am a novice photographer and this is my first DSLR Camera. I also have a SONY Cyber-shot DSC H5, Semi professional, point-and-shoot camera that I bought from SONY Center in Kolkata, India in 2006. I was reading through your section ‘Must-Have DSLR Accessories’. In that you have mentioned about the importance of a UV Filter for every lens(es) that are normally had. Pasted herein is a link of a 67 mm UV Filter from B+W. If you notice any other better model, feel free to paste me the link of the same or let me know the model. Thank you for this wonderful web site. I am in the market for a full frame sensor DSLR and have come across a fairly new D700 with only 9600 actuations. I have always been a Pentax user and was curious as to what kinds of questions I should be asking the seller having not been a Nikon user to date? Thank you in advance. I am agreat admirer of your photography as well as your articles. I am a amateur photogrpher. I currently have Nikon D7000 with 18-105mm , 60mm Micro, 80-400mm & tokina 11-16mm lenses. I am very much interested in bird photogaphy, Though results with 80-400mm are satisfactory I am curious to know that with Nikon 300mm+ 1.4 Tc will I get superior results than with 80-400mm lens ? Are results with Nikon 300mm+1.4 TC are comparable with canon 400mm 5.6 lens ? Also suggest me a good sturdy tripod to go along with these lenses. Hi Nasim – just a quick Question, what are the advantages of full frame camera body over DX camera? I recently discovered your website and absolutely love it! The information is invaluable and I have been learning quite a lot. Thank you to you and your staff for your time and effort in writing these articles; it is greatly appreciated. Can I ask your opinion please on a lens purchase? I recently bought the Nikon D600 and am looking for a good all-round lens. I mostly take pictures of kids (son, neices and nephews) on vacation which can range from a cruise, to theme parks, to the beach, a day in the mountains, etc. I am also “the family photographer” and so I take the pictures at all family events: weddings, picnics, birthdays, holidays, etc. If it is possible, I am looking for that one magic lens that can accomplish all of the above without sacrificing image quality and I have around $1000 to spend. Also, I already own the Nikon 50mm f1.8G which I love, but am looking for something with some reach. I hope I am not asking for too much :) Can you please advise? Thank you very much in advance. Thank you very much for your response. Since sending the post I read a few of your lens review and was leaning towards the 24 – 120mm f/4 VR. I’ll check out the review for the 70-200mm f/4 VR as well. Once again, your website is a great resource; thank you for all of the information. I just finished reading your review of the 70-200mm f/4 vr lens. Very detailed review and it sounds perfect for my purposes. I also like the fact that it is light-weight. I will save a bit more and splurge for this lens instead of the 24-120mm f/4 vr. Once again, thank you so much for your suggestion. I would suggest the server different functions. The 24-120 f4 is a great lens and has tremendous range for what we call being a ‘runabout’ lens. The 70-200 has more length but I think you would find it too long for everyday shooting. Mindful that if you have a ASPC sensor, the focal length is more like 36-180 and 105-300. I love my 24-120mm and other than purchasing the 24-70 f2.8 I would not replace it as my day-to-day lens. Many thanks for the information above. As my “runabout” lens I am currently using the 50mm f/1.8 and it takes great pictures. However, on some occasions such as graduation, wedding, etc., it is not always possible to get close enough to take a nice picture, hence the reason why I was looking for another lens with some reach for those types of occasions. From reading Nasim’s review on the 24-120 f/4 vr it does sound like a great lens but unfortunately I can only afford to purchase one lens for now :)… Once again, thank you very much for the input. It is truly appreciated. I recently discovered Photography Life and I have quickly become a great admirer of you work as well as your articles. If I can have just a moment of your time, I would love to get your advice about future nikon equipment purchases. I am a serious amateur photographer. I have been saving money for the past several years to upgrade my equipment, and last year I sold what I had and purchased a Nikon D600 along with a 14-24mm, 24-70mm, and 70-200mm + a TC 20 III 2x converter. I primarily shoot landscape, wildlife and portrait photography. I also work for a non-profit ministry In Kenya and have the incredible opportunity to go on 2-3 safaris a year. So, I would really love to have a super telephoto lens to use while on safari – but do not have the financial resources to buy top of the line equipment. What would you suggest?? 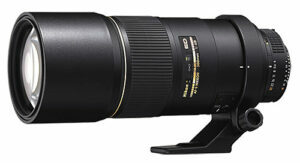 Have you had a chance to put your hands on Nikon’s new 80-400mm lens? Since i already have a 70-200/2.8 and a 2x converter, would that leans be any use to me in terms of super telephoto? Would the 2x converter work well with the 80-400, or would the quality be too poor? Also, if you were going to suggest a 2nd camera body, what would you recommend? You have a great gear (Nikon D600 along with a 14-24mm, 24-70mm, and 70-200mm + a TC 20 III 2x converter). I suggest you focus on utilizing the gear you have which will give you great photos certainly. I’m also based in Kenya and use the D600 with Nikon 24-70 f/2.8 , Nikon 70-200 f/2.8 and TC 20 III 2x converter. Hi, don’t know whether Nasim will answer you but the best lens is the Nikon 200-400 for this purpose and second best the 500mm with the 1.4 tc my experience. Your website has been my main reference for photography tips and info. Thank you very much for creating this informative website. I love it!! I’ve been reading about crop sensor being inferior than the full frame but the only major advantage about full frame for me is the exceptional ISO performance and large sensor size. There are of course some other advantages of full frame as the mentioned in the photography forum. blogs & websites. what do you think of this Nassim? Do you think to get the pro-like photo, full frame is the answer? There have been an ongoing debate about Nikon vc Canon but you suggest to stick with what we have. Great to hear that from a pro like you. very unbias and fair. Sorry I could not find a better thread to post this question. When the Nikon P7000 came out, I purchased one for times when a DLSR + lenses is too bulky to take along. I’m wondering if anyone can comment whether the P7700 is enough of an upgrade to warrant replacing the P7000. Firstly, I’d like to congratulate you and the team on a first rate photography blog. I find it very informative, and the erudition quite succinct. A question I’d like to ask you is what setting do you use in ‘Set Picture Control’? Perhaps, there is a general setup, such as ‘Standard’ or ‘Neutral’…what do you use? Will continue to follow the blog as it has helped me come to grips with technical handling of the equipment I currently have. I mostly shoot landscape, but will crop in to isolate subjects such as trees and rocks. Looking to develop a good working knowledge for black & white landscapes with pin-sharp detail and even contrast tones. Glenn, picture controls do not matter if you shoot RAW (and I highly recommend that you do). Do you think the left side focus issue has been taken care of now. I’s been more than a year. I want to purchase a D88e. Do you think the inventory has been cleaned up at B&H so that a D800e has a lower chance of being defective? Kit, so far I have been hearing good news, but some units are still affected (just bad samples here and there). If you buy one from B&H, test it and if there is a problem, they will exchange it for you quickly. You have beautiful web sites and a beautiful family! I have recommended you both to friends. Question: With regard to the Nikon 14-24mm lens, there is no doubt it is excellent, but, as you mentioned, does have a filter challenge. There are adpaters available for filters for this lens. Also, the Nikon 16-35mm lens may be a bit sharper, but does not have the near perfect edge to edge of the 14-24mm. However, it does accept normal filters! What say you about the 16-35mm lens? I do architectural photography, would you recommend the D800 or the D800e. Is there a noticeable difference? And as Kit questioned, has Nikon resolved the left focus issues? For landscape photography, the 16-35mm is a more suitable lens, as you noted. Please see my review of the lens right here. As for the camera, I personally would recommend the Nikon D800 instead of the D800E for architecture, since the E model is prone to moire. 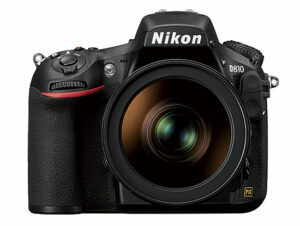 Plus, the D800 is cheaper (currently on sale too). Lastly, the focus issues seem to be mostly taken care of. There are still some units that have AF issues, so I would recommend to test your unit ASAP and return/exchange it if it is faulty. Nikon USA service centers have also gotten very good with repairing the AF issue, if you want to take that route. It’s always great to read your articles and gain knowledge on photography concepts and gears. However, I’m still inclined to photography and wish to get back to the DSLR world so that I don’t forget anything I’ve learned by reading articles online. A year back I had actually went to buy the Nikon D3100, but came back with Canon 550D. Now that I don’t own it, I’m thinking of getting the Nikon D5100, if not D3200 & have been reading about them for quite a while now. Both are equally great and are ought to create confusion in a buyer’s mind on which to go for. a. Are there only specific type of lenses supported with each of the Nikon DSLRs, as the list in Lenses mention say 50mm 1.8 but with different versions and only 1 supporting each DSLR. What is the exact difference between those versions ? b. I cannot invest too much money in buying number of lenses, so plz suggest me an ideal combination to buy the lenses – I think of 50mm 1.8, 18-105, 55-250/300. Hi Nasim Many people stated it and I agree. Most objective reviews and logical recommendations available on the web. I live in South Africa and have all the opportunities to shoot nature, landscapes and wildlife. I still use a D300 and just bought a almost new D700 as a FX upgrade to my other D300. I have good lenses, 16-35, 24-85, 50 f1.4, 70-200 f2.8 VR1 and 300 f2.8 vr2 with TC 1.4 and TC2.0 iii I used a D800 for a few months, but had ongoing focus problems that Nikon could not fix, so I sold and bought the D700 with 940 shuttercount. I also have the Grip with the EL4a battery. I need to replace my D300 but like the Dx extra reach. However not the D7100 or the D7000 have the buffer or capacity to shoot more than 1 second plus the body design is different from the D300/D700 design. Do I wait for a potential D400 or do I try and get a good quality D300s? in future I would upgrade to a D4 but money does not permit it at this stage. I value your great and objective advice. I have a few clients that buy my canvas prints and my wife is a painter and share space in a gallery where I sell my prints, mostly international visitors and corporate. I don’t have the urge for the high mp bodies as I find the nikon 12 mp camera’s produce great results. the D300 low light performance is not to good and therefore enjoy the D700 with the 300 f2.8 and TC1.4. Hi Nasim, I always end up on your website whenever I seek some photographic advice. Wether it’s about photography in general or about specific gear, you often have an article about it. This time I wonder how the Nikon 24-70mm fares on the amazing Nikon D800. Does it perform good at f/4 on the D800 or should I search for a better zoom or even prime lenses? Your site is my go-to for all things photography and camera and gear related. I continue to learn and grow from your many informative articles and reviews. I love the Lightroom series. Thank you very much for you and your team’s continued dedication, hard-work and efforts. It is very much appreciated. I have a lens question that I would appreciate your feedback on. If you can only choose one, either the 50mm f/1.8G or 105mm f/2.8G, which would be the better lens to get (price is not a consideration)? I currently have the 50mm f/1.8G and use it for portraiture and as a walkabout lens, but read above that the 105mm can also be used for portraiture as well as a macro lens. If that’s the case, then I can carry around only one lens (the 105mm) rather than two lens. But I wonder, would I be losing anything by doing this? Your thoughts are very much appreciated. I am planning to buy SLR. I am bit confused between nikon d7000 vs nikon d7100 vs canon 70d. Please help me in buying. I noticed with interest that you recommend the Kirk L-Bracket for the D700 with MB-D10. I have a Gitzo ball head gh2780qr. May I ask what type of Arca swiss adapter would you recommend. I hope you have had the same questions at some point . I can see the following. Sir what is the main advantage of mbd12 battery grip for Nikon d800.Shold i buy sb910 r mbd12 battery grip if battery grip is no too necessary then i will buy sb 910.Plz solve my this conclusion as soon as possible but u replied so late sir.Thanks. I am a businessman and love photography, especially landscape and wildlife – bird photography. My present camera is the Nikon D80. I do have the prime lens 50 mm, the 18-105mm lens and also the 70-300 telephoto lens. My question is can i use a teleconverter with the 70-300 mm lens for bird photography. Any other suggestions also welcome. Until Nasim has time to respond, I can tell you that TCs are NOT compatible with your 70-300. With your camera, I would probably get the Nikon 300 f/4 and 1.4x TC. If you need more reach than that, one of the third party zooms (eg. Sigma 50-500) would be good. If you plan to upgrade to a newer camera, the Tamron 150-600 would be an awesome lens for you. Do you calibrate your lenses and what is your feeling about doing it? If so what do you use- Lens Align, Lens Cal or something else? At what point would you recommend calibrating zoom lenses, 24-70,16-35,70-200,80-400 etc. What about the distance between the camera and the target? Dear Sir: I have been reading your articles, and have enjoyed how easy it is to understand most explanations. I am now considering getting a new Nikon camera. I have D60. Based on the survey I took, it is recommended the Nikon D7000, however, I noticed in the review that is not so good for wild life. My main interest now is wildlife, mainly birds. Would the D300S be better? and What lens do you recommend? I am between an amateur and semi-professional. I absolutely love your site , its awesome. need your advice about switching to full frame. I already have d7000 and love that camera. My options are d4s vs d800. Having hard time deciding! I am not going for wall sized enlargements I want a camera which can capture what I want. I am not pro – i can describe myself at most as advanced amateur. JB, I apologize for a late response – have been pretty busy lately and looks like I have not responded to many comments on this page. If you are an amateur, get the Nikon D610 instead, or wait for the D750 announcement in September. I love your site. I have one question What kind of other brands do u suggest for buying 24-70mm for Nikon? My budget is 1thousand dollars and I am not find any where 24-70mm nikon lens in that range. Just wondering if i buy Tamaron or sigma will it be good or waste of money? No, both Sigma and Tamron are very good value. I would recommend the Tamron 24-70mm f/2.8 – it is a great lens for the price. Hi , I am Indian and 24 years old girl. Want to buy a good camera and get into this profession however am not getting any internship or job related to this as i don’t have any degree or diploma related to photography. after reading your webpage i found it very interesting and detail information, but still i am not sure how to start my career in photography and which camera i should buy as a beginner. Am creative and passionate, willing to travel and work in a team at any point of time. Laboni, get an entry level DSLR. If budget is an issue, get a used DSLR that is one or two generation old – you can get some really good used cameras for around $100-300. Start out with a basic kit and once you learn the craft and the gear, you can always move up to something nicer. Noticed that the above is rather out of date from what you use now. Would be really helpful and interest to many if you get time to update and maybe explain why you have changed to this and that. Hope that came across right. Darrell, I have updated the chart to our current gear. I am missing a number of lenses like 24mm PC-E and 85mm f/1.8G, but other than those, the above list should be pretty current. Thanks. Much Appreciated. Great site. Just have a question re Focal software. Maybe it is a huge coincidence but on the day I updated to 1.9.7 my D700 is stuck in mirror lock up mode. All S,C and Live view take via Mirror lock up…. Can it be..
fixed this by resetting camera using green buttons. Focal related forums suggested it. It seems to be a potential problem if camera and or software crashes. May we ask what CF cards you use with the D810. Do you still use the 32Gb and if so how many pictures do you on average get on a card a full Raw. If you do use a larger card would you be able to share details. Darrel, I would go with at least 32 GB memory cards – get the fastest ones you can find. My preference is the new SanDisk Extreme Pro series cards that can transfer at 160 MB/sec. I have found that the above does not exactly fit a true Arca head. Has anybody found this. It does grip just but not all the way into the grove so does not feel completely secure. Darrel, that’s the unfortunate part about companies deviating from the original format. Because of this, I never recommend to use quick release plates – always get a knob version where you can tighten it manually. With a knob, you can make every plate fit. Forgot to answer your question on how many images will fit. It really depends on what you shoot, but expect between 400 to 500 images to fit on a 32 GB card. I have recently purchased a couple of 64 GB cards and on those I can fit between 800 to 1000 images – 14-bit RAW, Lossless Compressed. I am looking for a long lens for wildlife 400 or 500 and have been reading your articles. I am getting confused. I have a Nikon set – D600, D610, 70-200 2.8, 28-300 3.5-5.6, TC 1.4. I can’t buy a Nikon 300 2.8 or 200-400. I could go about $2500.00. I do not mind other brands. I did see the Tamron 150-600 review and the Nikon 300 4.5 and the 80-400 = confused. Nice set of lenses! For your budget, I would either look at a used prime like the 500mm f/4, or get something like the Tamron 150-600mm. It is a great lens for the price and you don’t have to shell out $2500 for it. Nikon 500mm f/4.0G ED VR AF-S SWM telephoto seems to run 7,500.00 used. 8k+ new. Note sure where to go for used, but I checked Amazon because here is none around here. Since I noted the approx amount I had and you mentioned this lens, did you have a compy to contact for lower prices? If not, then that put me on the Tamron 150-600 and not a f4 300 Nikon with an ext attached (you did not mention that one but I read your comments on it)(I am also figuring that it is better than my 28-300 with an ext attached per your comments). I did not see a review of the 500 f4 on this web?? I am amusing that you agree that either of these lenses are better w/o an ext attached than what I have with one?? Thanks for posting your gears. I have a question on the ballhead that I’m planning to purchase. If the screw are intentionally loosen in the Arca-Swiss Monoball Z1 sp with Quick Release to allow the plate to swing, will the 2 detent pins able to stop the Kirk L bracket from falling? Hi, I have a NIKON D300 and a AF-S NIKKOR 18-200 Lens a SB900 speediight and a Manfrotto MT294A3 tripod. I am in the research stages of starting a small business in Real Estate photography. Do you have any advice for me regarding equipment e.g. lenses etc I might need to get started. I am thinking along the lines of more off camera speed lights, remote trigger for camera and I have heard of something called a painters pole to get up a little higher for a front of home shot. And what do I really need to have as a lens to capture a wide enough view inside a home. Is the lens I already have suitable? I’ve read almost every review you’ve made on the Nikon Lenses, and it was a great! I’ve learned a lot reading your reviews and also made me question the setup I’m thinking. I have a DX camera and I’m planning to go with DX 10-24mm f/3.5-4.5G, Nikkor 24-70mm f/2.8, and Nikkor 70-200mm f/2.8G. I know it’s a bit pricey but I think it will do me good once I change to FX (that will be in a verrrrrrryyyyy long time from now). I’m also thinking will DX 17-55mm f/2.8 be a good replacement for the 24-70mm f/2.8? When I go that path and get 70-200mm I will not be able to cover something like 85 – 105mm, which I don’t want. Can you help me figure something out? I really liked your information about gears and their use.. i have a question and really confused about it ..
i had nikon d3200 as a beginner level and then i decided to upgrade my camera so i sold that and now i have 2 choices and have to select only one. The choice is that either i have to buy a Nikon D7100 or a Canon Eos 70D .. and i cannot decide which one to buy .. really need your help as you a professional ..
looking forward for your help !! Nikon D7100 is undoubtably the best camera than Canon Eos 70D in my opinion , If you can afford to buy D7200…Go a head and Buy that as its Exceed 4 processor, While D7100 is Exceed 3 Processor. Look at comparison in the below link. i previously posted that your website was the best on the web. i’ve now found your ‘our gear’ section and truly believe this is the best camera guide on the web ! just one thing puzzles me: you also seem to have fuji and olympus mirrorless cameras, but they aren’t listed in this section. is this section meant only to deal with your professional gear? it would be helpful though if you could also comment here on your preferred four thirds camera system. thanks and best. 1. After a fair bit of reading, it seems like the Nikon models have a bit of an edge over Canon right now. I was thinking that for the travel/amateur wildlife photography I typically do, a D750 makes more sense than a D810. I don’t print murals. However, I am concerned about weather sealing, and can’t seem to figure out whether the D750 is as good as the D810 or not. Do you have any thoughts on which makes more sense given my concerns and/or on the weather sealing issue? In terms of lenses, I was thinking that the Nikon 200-500mm would provide plenty of reach for wildlife without breaking my bank account, and your review seems to indicate that it outperforms the Tamron and Sigma 150-600mm lenses. So now I’m trying to figure out what other lenses I will need. The 24-120mm f/4 gets great reviews. 2. If I get the 24-120 and the 200-500, do you think I would miss the 120-200mm range? 3. If I get the 24-120 and the 200-500, I’ll be carrying both around all the time (unless I’m confident that I’m going somewhere where anything over 120mm would be unnecessary). If I got a 28-300mm instead of the 24-120mm, I’d be able to take just it and leave the 200-500 behind unless I knew I was going to shoot wildlife. What are your thoughts? 4. Do you thoughts change if you take weather sealing concerns into account? Thank you so much for the time you’ve put into this. The 28-300mm is not a professional grade lens – soft and slow. It will cripple your D750. Either Nikkor 24-120mm or Sigma 24-105mm are so much better choices and pairing nicely with 200-500mm. If you find a good copy of Sigma 24-105mm, that is a cracking lens. May I ask what Laptop makes and models do you use for Photo an Video editing. I am using a 2008 Macbook Unibody but with the Windows Laptop market changing so much today I would be interested to see if a Windows PC would be the better way to go. e.g. Dell XPS 15 9650 etc It would need to last at least 5 years to justify spending Mac pro 15 inch pricing though. Hi Nasim, have you made any updates to your gear toolkit? With the release of D5 and D500 a while back as well as new 70-200 I am curious if you added/replaced any.